Casa Paola is located in Vesta very close to the lake which make it a fantastic placed vacation house with 4 apartments. Vesta is only 3 km away from Sportcamping Rio Vantone. The vacation house is behind a small, public beach in vacation village Vesta. 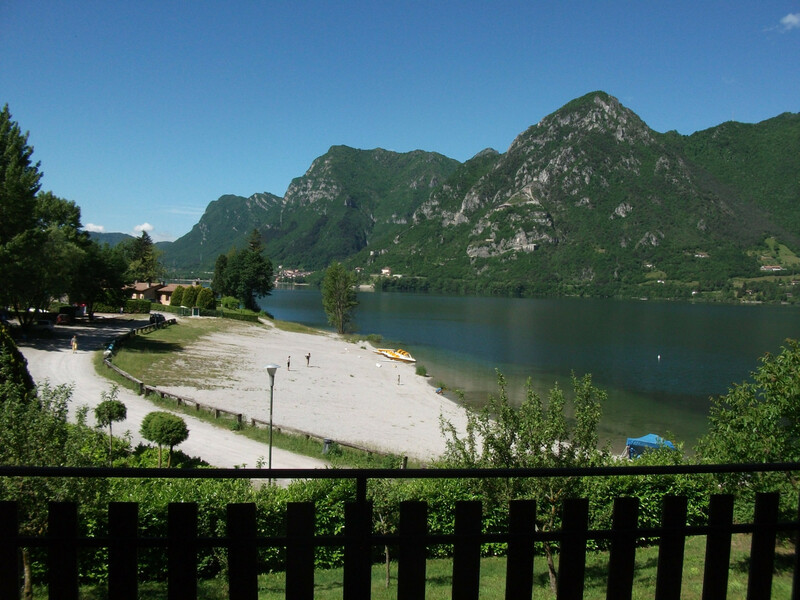 (a part of Idro area) From the balcony and from the terrace, you have a free view over Lake Idro in southern direction. You can keep an eye on your children playing on the beach, while you are completely relaxed and enjoying the sun on the terrace (13 sqm) or at the balcony (6 sqm). The house includes 4, very cozy, apartments which are tastefully decorated and offers room for 4 person per apartment. 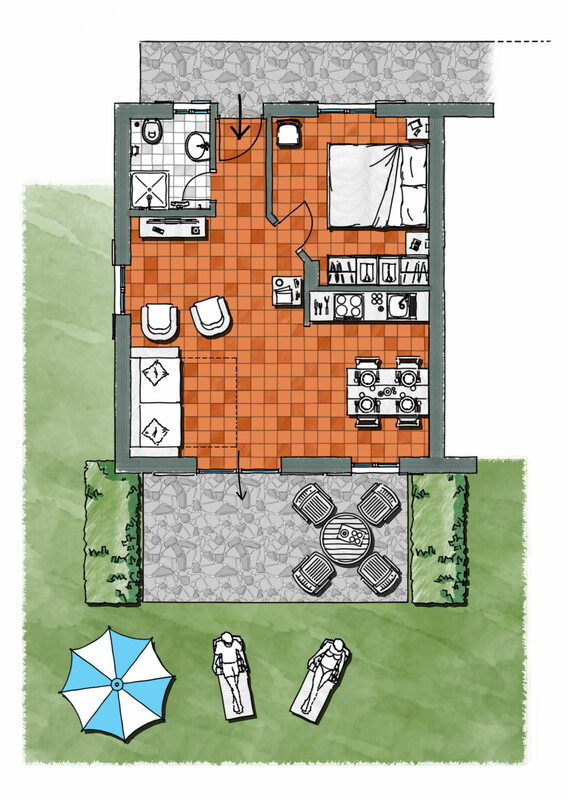 2 apartments with garden and terrace on the ground floor and 2 apartments with balcony on first floor. All guests are allowed to use the big common garden. Further you will find a bedroom in the rear part of the apartment with a comfortable bed (160 cm * 190 cm). The bedroom also have a big closet to store your cloth and other properties. The apartment also includes a bathroom with a shower and a toilet. 1 TV, TV Satellite (Languages: English, German), garden, garden furniture, fenced garden, 13 m² terrace, hair dryer, balcony, 36 m² property, pet-friendly (Dangerous breed dogs not allowed), single boiler on gas, Open-air parking in the same building.